In honour of the 2014 EFG London Jazz festival I present my ‘jazz face’. 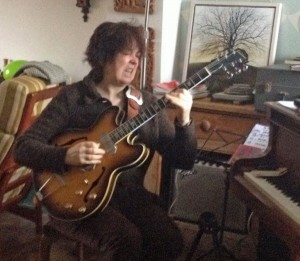 It’s actually my guitar face. i don’t know why people love to see the bad face but there you go. What on earth to practise as i have gigs coming up this week with LUND, ARQ, Emily Remembered and Baluji Shrivastav.